The Pakistan Super League started with tentative steps back in 2016 but gradually, the tournament became quite popular and the 2018 edition was the most watched among the three that have taken place so far. The quality of cricket on the show was excellent and plenty of players put in eye-catching performances that lit up the tournament. There were immense performances from some batsmen and breathtaking performances from bowlers, which turned games on their heads. In addition to that, the all-round performances were not scarce either. It is perhaps hard to choose the best ones due to the sheer number of excellent shows from some of the players. That being said, here are the ones that will be remembered for a long time. 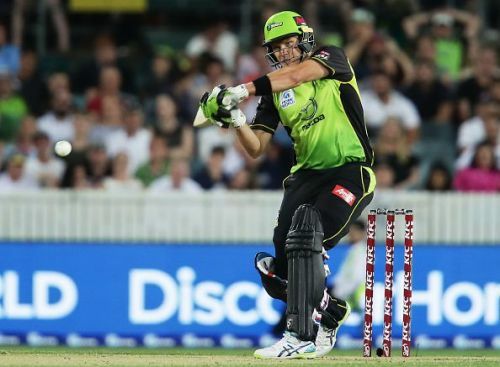 The Australian all-rounder may be 36 years old and no longer an international, but when it comes to actual on-field performances, Shane Watson can still turn games with either the bat or the ball. In a vital game in which the Quetta Gladiators’ needed to win to fortify their prospects of reaching the Qualifier, Watson broke the back of the Karachi Kings with a scintillating innings. He flayed the Karachi attack led by Mohammad Amir and Imad Wasim from the outset. The right-hander hit 5 fours and 7 sixes en route to his brutal unbeaten 90 off only 58 deliveries. The Gladiators scored 180 and it proved to be enough as Karachi could only make 113 for 8 in their 20 overs. Watson also picked up a wicket and ended with 1-18 in 3 overs to make it one of the most memorable performances of the tournament. Follow Sportskeeda for all the updates on PSL 2019 points table, news, schedules, live scores and fantasy tips.